TAANN seem like forming symmetrical triangle. 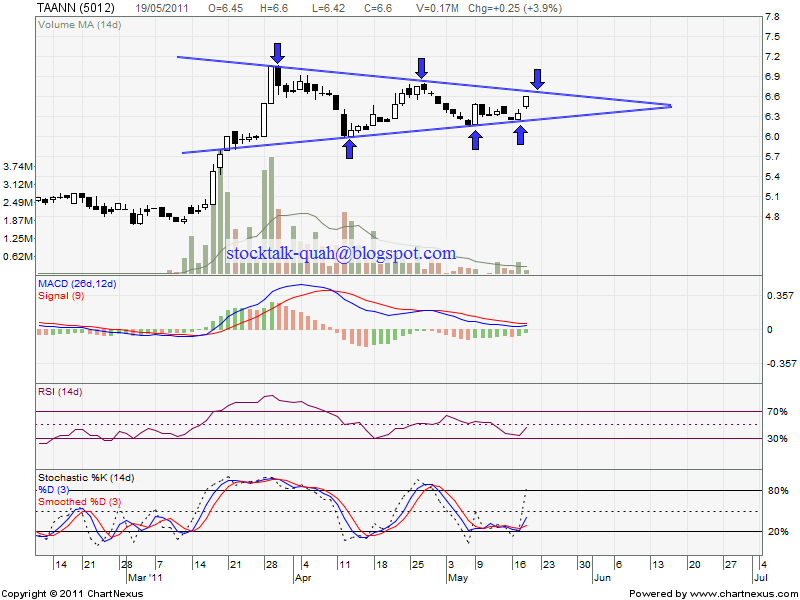 If able break up the triangle, it will create higher high, uptrend will be continue. 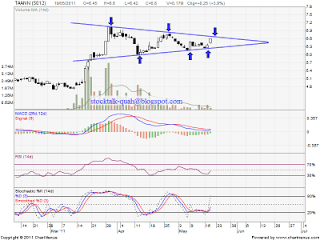 Stochastic %K been trigger buy call on 19 May 2011. MACD trade above positive region & going bullish crossover soon.